What Home Remedies Are Good for Dry Skin? The skin on your face is more delicate than the rest of your body, and exposure to the elements, pollution and water can make it dry. The drier your skin, the more likely it is to flake and peel. It may feel rough to the touch, too. Once your skin loses its natural oils and becomes dry, it does a poor job of protecting the tissues underneath. A homemade facial scrub helps to restore your face's normal texture, relieves dryness and exposes a fresh layer of undamaged skin. Dry skin has numerous causes, some health-related and others genetic. Skin can become dry when it is exposed to harsh winds and extreme cold. Indoors, a lack of humidity dries your skin. Aging skin has less elasticity and is thinner, so it is more likely to be dry as well. Harsh cleansers and makeup damage and dry your skin, too. Dehydration from too little fluid intake or severe diarrhea also increases dryness. Facial scrubs help you remove dry skin that has ceased to serve its purpose. The gentle abrasion removes flaky, dead skin that can no longer absorb moisture and may be blocking your pores. After a facial scrub, your face has a fresh layer of skin that is ready to protect your tissues from the environment. What’s more, it can absorb the moisture that it needs to do its job properly. Facial scrubs combine ingredients that remove dry skin and nourish your newly exposed skin. A basic scrub uses two ingredients commonly found in well-stocked pantries -- cornmeal and oatmeal. Alt MD suggests mixing 2 tablespoons of cornmeal and 1 cup of oatmeal. Stir in 3 tablespoons of water, then add two or three drops of chamomile or palmarosa essential oil for dry skin. For mature skin, use carrot seed or frankincense oil. Rub the paste on your face to clean and exfoliate, then rinse with tepid water. Depending on the cause of your dry skin, you may need to vary the ingredients in your facial scrub. A mixture of olive oil, castor oil and salt makes an easy scrub for dry skin. Honey is a good addition to facial scrubs because it is a natural humectant that helps skin retain moisture. 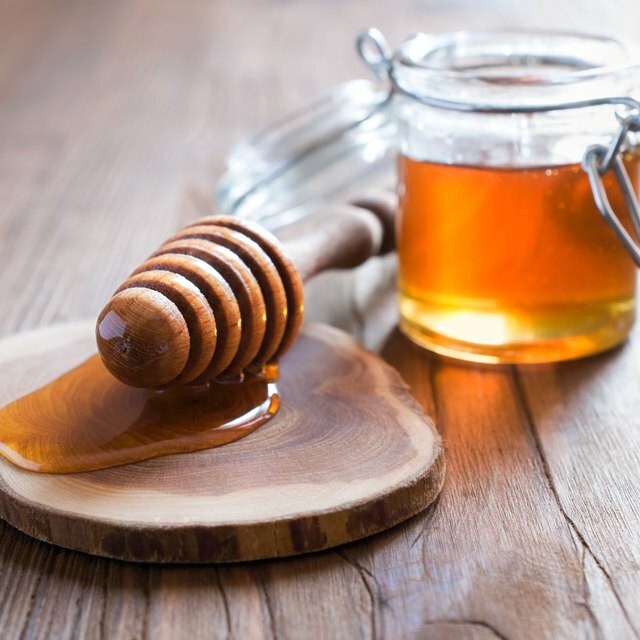 Mix 2 tablespoons of warmed honey, 2 tablespoons of sweet almond oil and 1 tablespoon of rolled oats to make a moisturizing scrub that also softens and brightens dry skin. Use homemade scrubs that contain perishable ingredients immediately or store them in the refrigerator. Avoid unexpected irritation and allergic reactions by doing a patch test before a full facial scrub. Apply a small amount on your arm and leave it for 15 minutes, then check for signs of irritation such as redness or a rash. If you have nut allergies, substitute olive oil for sweet almond oil in your scrub recipes. Can You Use Oatmeal to Remove Blackheads?